Caper Gas is a trade mark of Boudreau’s Fuels Ltd., a small, local independent fuel oil distributor owned and operated right here on Cape Breton Island! Our “HOMEGROWN” commonsense approach to business and self-sufficiency, so predominant amongst the many cultures of Cape Breton, has allowed us to succeed. Our community’s faith in us and our employees enabled us to do business “just as well as the big guys” right here at home. To provide efficient service, Caper Gas partners with existing businesses to add gas as another service offered at their locations, increasing traffic flow and profit to their businesses. We look after the installation of the gas outlet and provide fuel on a guaranteed contract basis. Will there be a Caper Gas Outlet in you community? 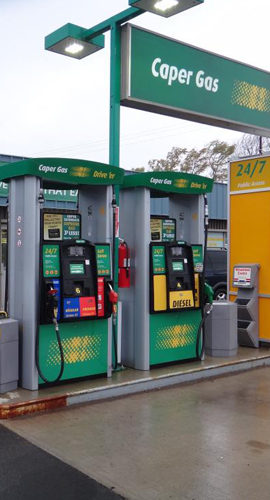 Caper Gas is on the lookout to add new locations throughout Cape Breton. Our goal is to provide service to smaller communities who do not currently have retail auto fuels available, particularly where the markets are too small to support a major brand service station. If you or someone you know is interested in having a Caper Gas Outlet at an existing business location, please call or email us. A new name you can count on! "To offer our neighbors and friends the opportunity to do business locally; while representing the best attributes of a grassroots, homegrown establishment."